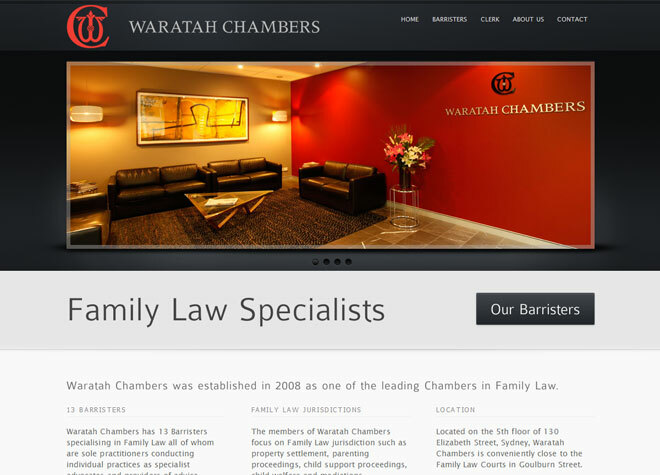 Assignment: Waratah Chambers needed to upgrade their website to make it more attractive and functional. The most essential upgrade needed was to the barrister’s profiles. Also needed was a page for the Clerk’s details. Solution: A new look and layout to properly reflect the chambers’ profile. Built on WordPress with a small assortment of plugins to provide security, increase SEO and integrate social media into the site. Contact forms were also added to the website. Slideshow used on the Home page to showcase their modern offices. An About page was also added to give some background of the chambers’ history plus supplement the information on the Home page regarding specific areas of practice within the Family Law area.